So, what do I do with my free time when I'm not mapping? 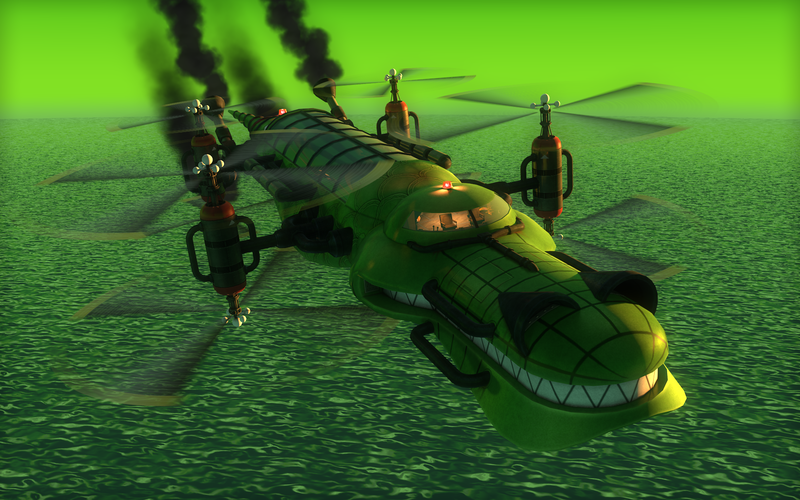 Well, besides loafing about and occasionally drawing or playing games, I like to mess with 3D models. I've toyed around with the idea of making my own since the beginning, but only in the past year or two have I actually made them the "proper" way. 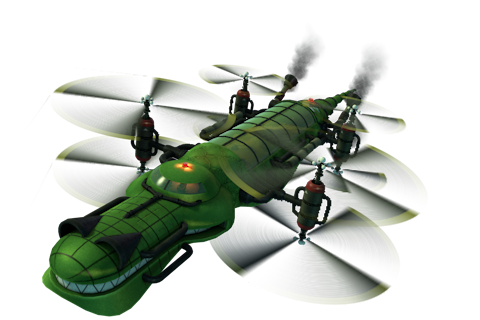 Considering almost everything I model is based on old video games that weren't in 3D to begin with, I figure I would post some of my creations here. Enjoy! Try for a hole in one! I made all of Course 1. Sadly, I stopped before getting to Course 2 because of all the new custom pieces 2-1 needed. I should do more with these. How many Sonic fans do we actually have around here? No, that's not my house in the bg. These guys are some of my favorite MLPT enemies. Messing around with "HD" stuff. These are just some of the random one-off models I've made. But, since late 2011, I have been working on a very specific set of models. Introducing: my Brawl-style models! 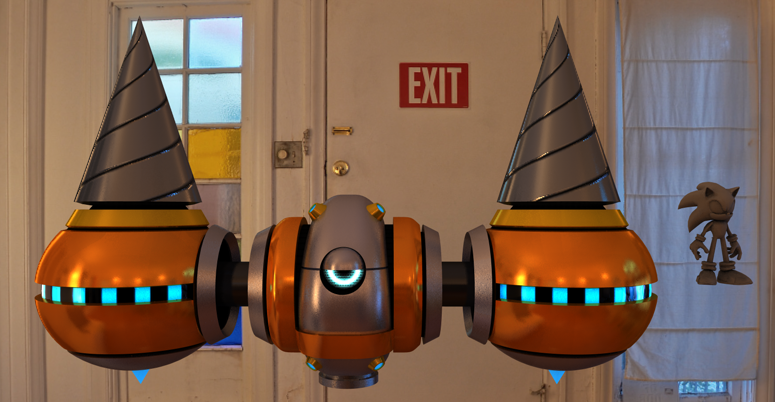 This was my first attempt at a Brawl-style model. Looking back at him, this was very evident, as he lacked a lot of detail. (Old Version) So, I recently updated him to the version you see here. I also made alternate colors for him. 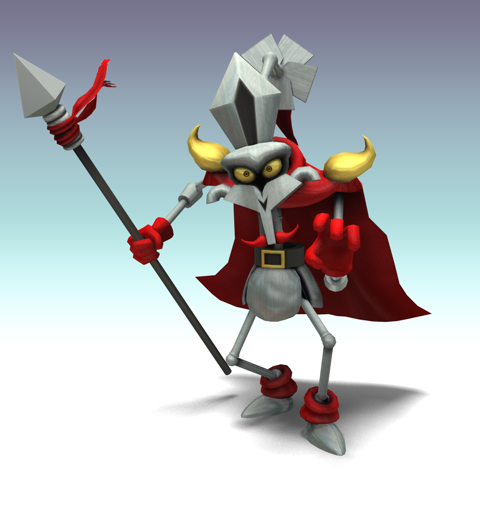 In case you don't recognize him, he's one of the big bosses from Super Mario RPG. I spent another two months making what amounts to a background prop. Since the game doesn't really give any good view on what the Blade looks like, I took the liberty of redesigning it. 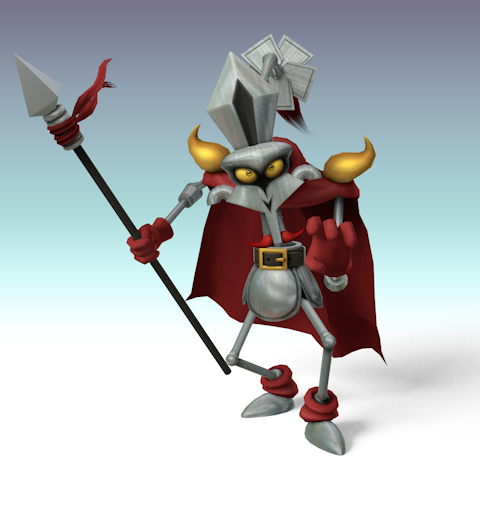 The model itself is about the size of the Halberd, and has about as many polygons as Delfino Plaza. Since a single picture doesn't really do the model justice, I made a couple of Youtube Videos to show off the details. I bet you thought they were all going to be from SMRPG, huh? 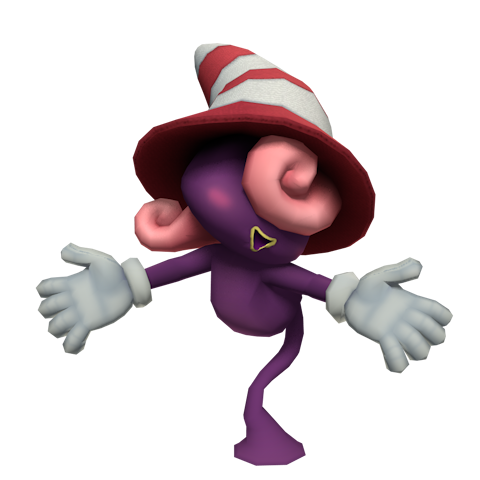 Due to Paper Mario's flat style and cutesy proportions on everything, making a competent 3D model of her was a challenge. 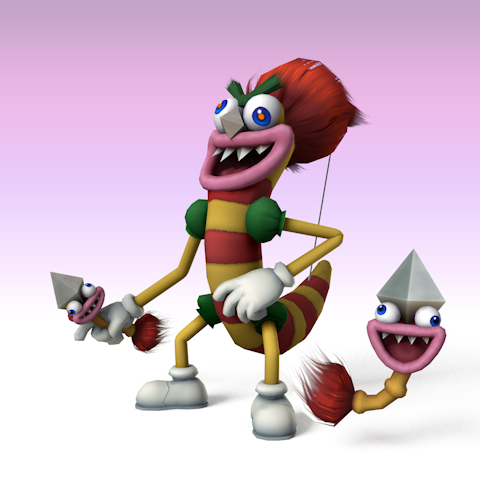 In case you're wondering why she looks lower-poly than the others, it's because she's only meant to be an Assist Trophy. She isn't really cut out to be a full-fledged brawler. 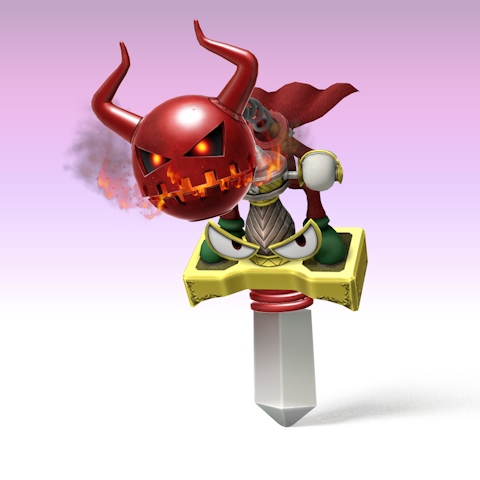 Bowyer is probably one of the most well-remembered bosses in SMRPG, partially due to how frustrating his battle was, but mostly because his battle introduces Geno. Rather than try and shoe-horn him into the position of a fighter, I decided to leave him to what he does best: pelt you with arrows and disable your controls. I couldn't make Aero for Bowyer and not make Yaridovich's minion, now could I? And did you ever realize just how cute this guy is? It's all there in the sprite, albeit hard to make out. Saw a video on Youtube that someone custom made Booster's Tower on Minecraft. It was pretty nice looking and gave the layout awhole new perspective. I looked up the video, and it definitely was impressive. And that video led me to a TF2 recreation of the tower. Seems people give Booster's Tower a lot of love! No other comments? I'm kinda surprised. So, what have I been doing with my time this past month or so, if not making maps? Well, I was making a map of a different sort. 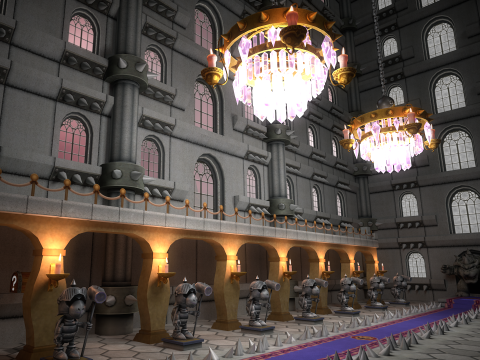 This one is intended to be a Brawl stage, and is intended to act as a modernized composite of the different elements in Bowser's Keep from SMRPG. It kind of went against my mapper instincts of making it as accurate as possible, but I think it turned out better this way. I even used a few elements from Super Mario Galaxy to make it feel as modern as possible. 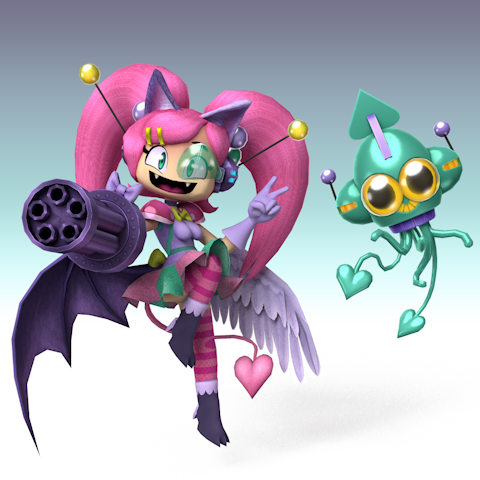 Best of all, someone from Kitty Corp Meow Mix is helping me out by turning it into a real working Brawl stage hack. I think these look great, Peardian! Alas, I'm one of those rare schmucks who never got around to playing Super Mario RPG, though I do plan to play through it one of these days. 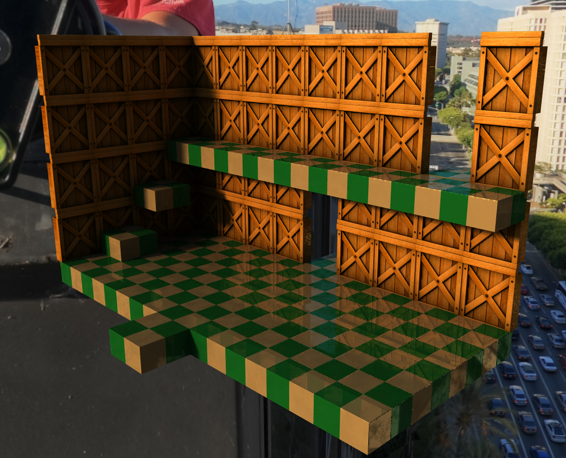 I also really liked the 3D items from Super Mario Bros. 2! You should do more of those too. Yeah, I enjoyed making them. I should try making more sometime. So, why haven't I been making maps lately? 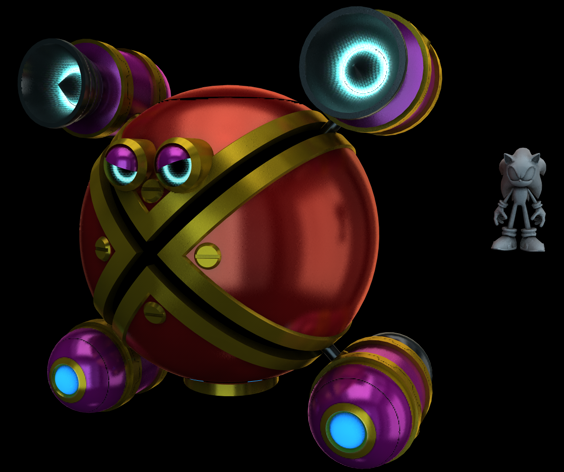 Partially because I was trying to get the Bowser's Keep stage implemented as a hack (it hasn't happened yet), but the other big reason is that I was trying to finish THIS guy. Apparently, people love Mack. 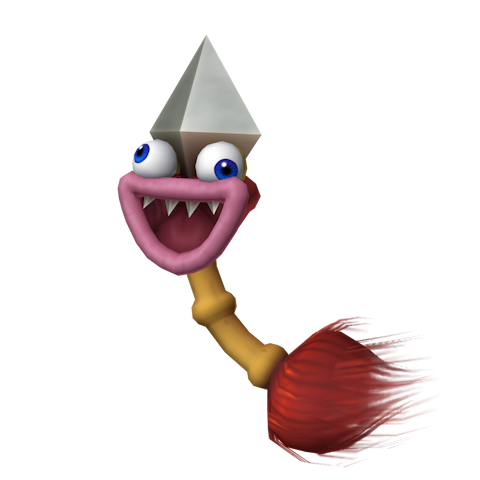 Of all the SMRPG bosses I've made, this one got the biggest reaction. I can see why. Despite knowing nothing about him, he still comes out as visually impressive and evil. That does look awesome. I take it that's a boss in Super Mario RPG? It should almost be mandatory for everyone to play Super Mario RPG! It's a Mario game, from the Golden Age of video games, and it's by Square while they were at their best. What reason could there be to not play it? RPGs aren't really my thing--I prefer Mario as a platformer. In fairness, SMRPG is on my list to get to one of these days. After all, while I don't normally like RPGs, I did give Mega Man X Command Mission a try and surprisingly ended up liking it a lot more than I thought. Perhaps the same will be true for SMRPG as well. Oh, looks like I forgot to post this here. I finished these at the beginning of the month. Remember Cat Girl Without Salad? Also, working on this led me to playing Mighty Switch Force! 1 and 2, which I really enjoy. Took me almost three months to complete, but I finally made a new custom model! And this one's background is pretty relevant to this site, too. 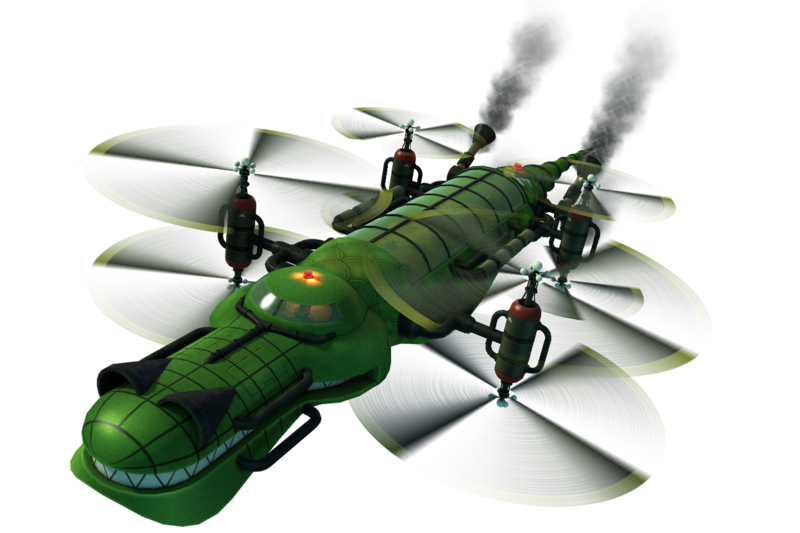 And as an added bonus, I even recreated the cockpit interior, as seen in K.Rool Duel. Enjoy! I have more map-related projects in the work, though I'm hoping to finally kick myself into starting Majora's Mask as well. Awesome! That was a really neat moment from arguably the best Donkey Kong game of them all. Glad to see you back, Peardian--and definitely looking forward to Majora's Mask. Impressive reconstruction! On another note, I can't believe I've never even played any of the Donkey Kong Country games all the way through. Thanks, guys! Oh, and I forgot to post this here: HD Flying Krock Wallpaper!